Are you looking for the ultimate SX fighting machine? Power and torque in spades? Then give yourself the power of the ATV performance champion in the field of quad cross. Here, brutal acceleration meets excellent handling, perfect ergonomics meet unbeatable state of the art technical components. 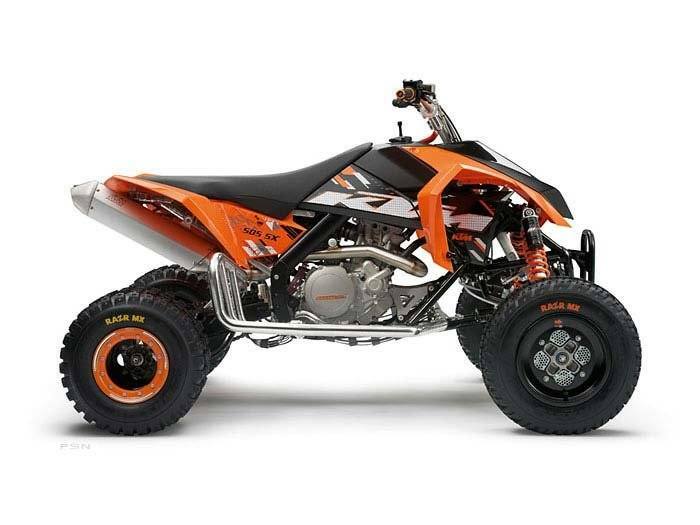 In the 505 SX, this starts with optimally adjustable WP spring elements, the best brakes, tires and rims and carries on well past Nerf bars, links and the frame. Several superior details for one supreme winner: you!